In the US, it’s pretty evident in sales and the increase of locally brewed options that sour beers are gaining popularity. This has also been a boon for Belgium’s traditional brewers of sour ales, including family owned brewery De Troch. Like many of their competitors, De Troch had to focus their production and sales efforts on sweet lambics to stay afloat. Tastes had changed after WWII now that sugar was no longer a rationed item. People who like drinking soda pop weren’t that interested in traditional beers with weird, sour flavors. So, one by one, Belgium’s traditional Gueuze and Lambic breweries/producers either went out of business or started creating a line of fruit flavored and sweetened lambic based beers. De Troch was one of the later. Today, De Troch is returning to its roots and adding fully traditional beers back into their lineup. I’ve already reviewed the Oude Gueuze which was released in 2014. In late 2015, they released the newly revived Oude Kriek. 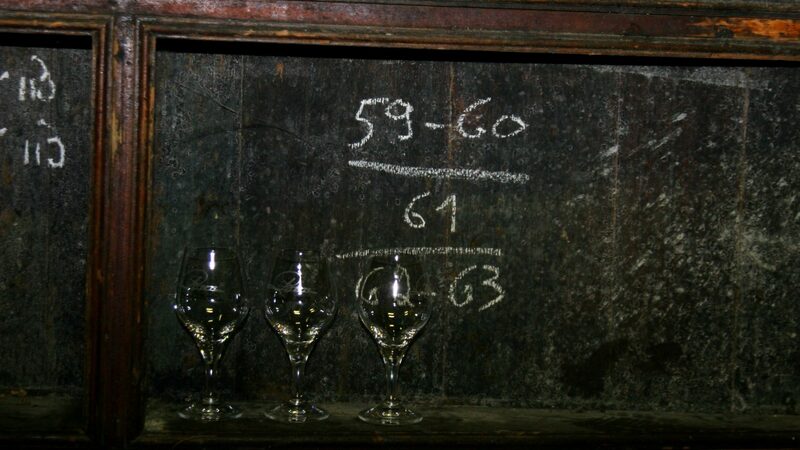 The Oude Kriek, as the Oude indicates, is a fully traditional spontaneously fermented lambic with whole fruit added and then bottled to finish conditioning without added sugar or yeast. Appearance: Red/Purple, lavender head, poor retention. Aroma: Tart cherry, plums, earthy, lemon, leather, chocolate notes. Taste: Lemon, tart cherry, almonds, earthy. Overall Impression: This one is very aromatic! It’s big on fruit aromas and has a nice tartness with a nice balance between bright and dark flavors. It’s a fairly limited release this time around, so be sure to pick one up if you see it! Availability: Nationally, but in limited quantities in better beer stores. It’s new to the US so request it from your retailer as distribution is growing. Imported by Wetten Importers. That sounds fantastic! I love these true Belgian sours. I am getting a little sick of kettle sours.